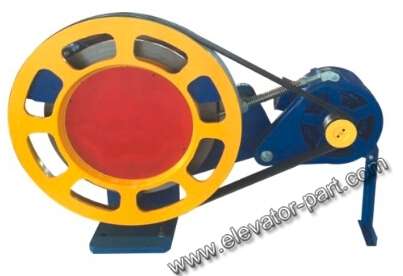 DYJ705 Elevaor Traction Machine, Supply Lift Traction Motor Machine. Name branded narrow-V driving belts are produced conforming to International standard,and because a newly invented.positive feed-back precious-controlling auto-tensioning technology is adapted,belt sliding problem is absolutely avoided,so the blue-china machine requires NO maintenance.The belts have an operation life span of 20 years,without any maintenance;the-refore operation costs dramatically reduced,among other advantages such as smooth operation and low noise. 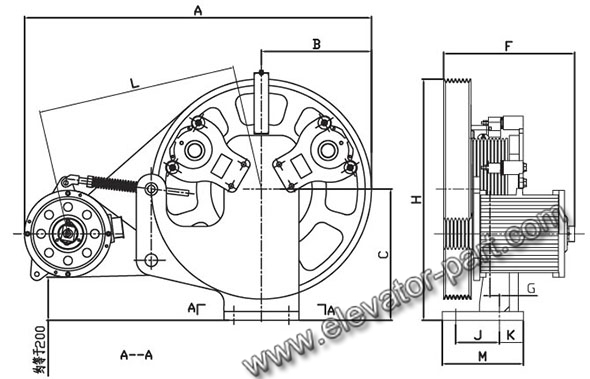 Bearings are produced by special bearing-steel,with designed working life span of 30 years.Due to good workmanship of precise machining,precise assembling and reliable sealing Compared to traditional traction machine with gearless PMSM,the DYJ system shall be 10% more efficient when high speed PM-SM is adapted.it is also evidently more efficient even if induction machine is adapted.Therefore,the required capacity of electrical driving system such as inverter,breaker,contactor and so on is reduced by at lease one grade,and since belt drive system has no lubrication requirement like traditional gear system,we would like to call our system green machine. The tolerance and breakdown of the feedback system of traction machine,which is the most critical problem of traditional traction machine is eliminated in our design,since we adapted shockproof,anti-EMI,thermal endurance high-reliability encoder in DYJ and installed by patented technology. encoder in DYJ and installed by patented technology. DYJ has equipped with double redundancy disc brake system.the clearance can be auto-regulated by magnetic levitation force.trie torque can hold the line by nonlinear spring even the friction lining has abrasion.the friction surface can self-adapting it's position universally. 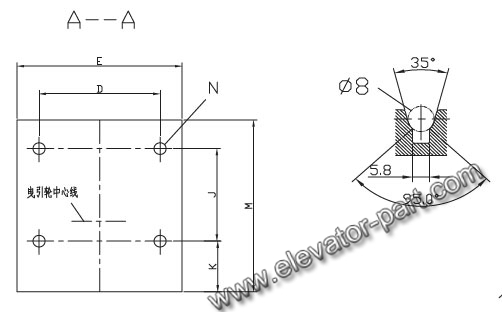 the action noise is very low so suited to machine-roomless use.and the brake disk is coaxial and integral with traction sheave.so it has no further use for upward overspeed protection equipment.